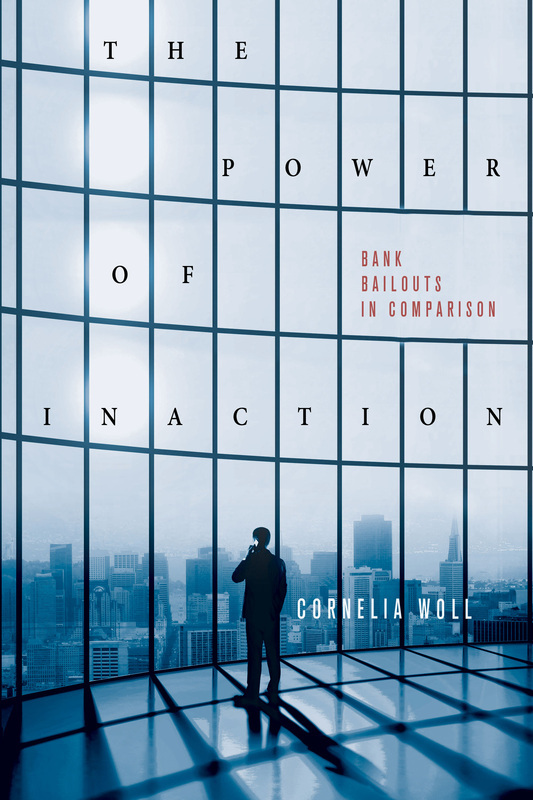 2014: The Power of Inaction: Bank Bailouts in Comparison. Ithaca, NY: Cornell University Press. 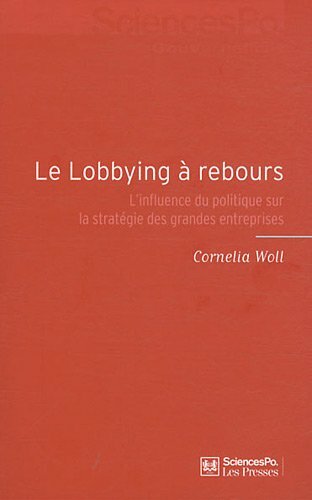 2011: Le lobbying à rebours: L’influence du politique sur la stratégie des grandes entreprises. Paris : Presses de Sciences Po. Translation of Firm Interests by Isabelle Menneson. 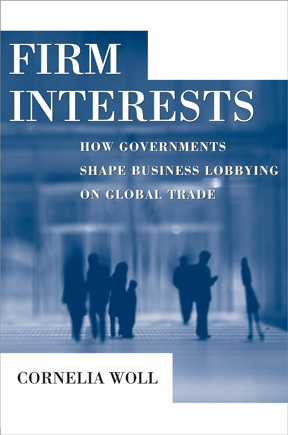 2008: Firm Interests: How Governments Shape Business Lobbying on Global Trade. Ithaca, N.Y.: Cornell University Press. 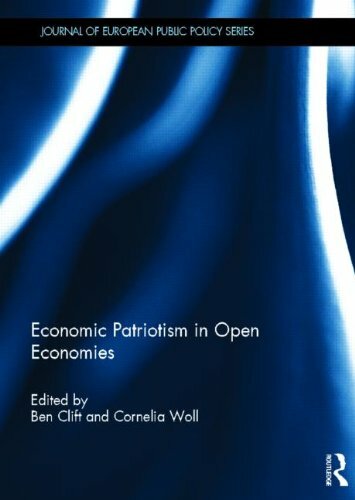 2013: Economic Patriotism in Open Economies, London: Routledge (with Ben Clift). 2004: Les usages de l’Europe : acteurs et transformations européennes. Paris: L’Harmattan (with Sophie Jacquot). 2016: “Politics in the Interest of Capital: A Not-So-Organized Combat,” Politics and Society, Vol. 44, No. 3, pp. 373-91. 2016: “A Symposium on Financial Power” and “A Rejoinder by the Author,” Accounting, Economics and the Law – A Convivium, Vol. 6, No. 1, pp. 1-4 and 85-92. ​2014: “Bank Rescue Schemes in Continental Europe: The Power of Collective Inaction,” Government and Opposition, Vol. 49, No. 3, pp. 426-451. 2014: “Saving the Banks: The Political Economy of Bailouts,” Comparative Political Studies, Vol. 47, No. 4, p. 574 - 600 (with Emiliano Grossman). 2013: “The Future of International Political Economy: Introduction to the 20th Anniversary Issue of RIPE,” Review of International Political Economy, Vol. 20, No. 5, p. 1009-1023 (with Juliet Johnson, Daniel Mügge, Len Seabrooke, Ilene Gabel, and Kevin Gallagher). 2013: “Moral Categories in the Financial Crisis,” Discussion Forum with Marion Fourcade, Philippe Steiner and Wolfgang Streeck, Socio-Economic Review, Vol. 11, No. 3, p. 601-627. Discussion: Oleg Komlik, Economic Sociology and Political Economy Blog, 16 January 2016. 2013: "Lobbying under Pressure: The Effect of Salience on European Hedge Fund Regulation," Journal of Common Market Studies, Vol. 51, No. 3, p. 555-572. 2012: “Open Skies, Closed Markets: Future Games in the Negotiation of Air Transport,” Review of International Political Economy, Vol. 19, No. 5, p. 918-941. 2012: “The Brash and the Soft-Spoken: Lobbying Styles in a Transatlantic Comparison,” Interest Groups and Advocacy, Vol. 1, No. 2, p. 193–214. Press: Lettera 43: “Spin Doctor: Lobby in Usa e in Europa: quante differenze,” by Gianluca Comin, 20 August 2014. 2012: “Economic Patriotism: Reinventing Control Over Open Markets,” Journal of European Public Policy, Vol. 19, No. 3, p. 307-323 (with Ben Clift). 2011: “The French Debate over the Bolkestein Directive,” Comparative European Politics, Vol. 9, No. 3, p.344-366 (with Emiliano Grossman). 2010: “Using Europe: Strategic Action in Multi-Level Politics,” Comparative European Politics, Vol. 8, No. 1, p.110-126 (with Sophie Jacquot). 2008: “ Action publique européenne : les acteurs stratégiques face à l’Europe,” Politique européenne, No. 25, p. 161-192 (with Sophie Jacquot). 2007: “When Trade Liberalization Turns into Regulatory Reform: The Impact on Business-Government Relations in International Trade Politics,” Regulation and Governance, Vol. 1, No. 2, p. 121-138 (with Alvaro Artigas). 2007: “From National Champions to Global Players? Lobbying by Dominant Providers during the WTO’s Basic Telecom Negotiations,” Business and Society, Vol. 46, No. 2, p. 229-252. 2007: “Leading the Dance? Power and Political Resources of Business Lobbyists” Journal of Public Policy, Vol. 27, No. 1, p. 57-78. 2006: “National Business Associations under Stress: Lessons from the French Case,” West European Politics, Vol. 29, No. 3, p. 489-512. 2006: “Research Agenda: Lobbying in the European Union: From Sui Generis to a Comparative Perspective,” Journal of European Public Policy, Vol. 13 No. 3, p. 456-470. 2006 : “La réforme du Medef : chronique des difficultés de l’action collective patronale,” Revue française de sciences politiques, Vol. 56, No. 2, p. 255-279. 2006: “The Road to External Representation: the Commission’s Activism in International Air Transport,” Journal of European Public Policy, Vol. 13 No. 1, p. 52-69. 2005 : “Vers des compétences externes : l’activisme de la Commission en matière d’aviation internationale,” Politique européenne, No. 17, p. 137-158. 2005: “Europe and the Transformation of French Policy-Making: A Cross-sectoral Approach,” Zeitschrift für Staats- und Europawissenschaften, Vol. 3 No. 3, p. 388-409. (with Richard Balme). Chinese translation: 2009: "从议程设置到弹性：适应欧洲的法国政策决策 [From Agenda-Setting to Resilience: French Policy-Making Adaptation to Europe]”, China Public Administration Review, Vol. 8, No. 1, pp.50-64. 2003: “Usage of European Integration – Europeanisation from a Sociological Perspective,” European Integration online Papers (EIoP) Vol. 7 No. 12 (with Sophie Jacquot). Romanian translation: 2004: “Implementarea conceptului de integrare europeana sau europenizarea din perspectiva sociologica,” Studii de securitate Vol. 2 No. 3. 2017: “State Action in Financial Times,” in Patrick Le Galès and Desmond King (eds.) Reconfiguring European States in Crisis. Oxford: Oxford University Press, p.201-214. 2016: “Evolutionary Dynamics in Internal Market Regulation in the European Union,” in Orfeo Fioretos, Tulia G. Falleti, and Adam Sheingate (eds.) The Oxford Handbook of Historical Institutionalism. Oxford: Oxford University Press, p.504-516 (with Mark Thatcher). 2013: “The State: The Bête Noire of Neo-Liberalism or its Greatest Conquest?” in Vivien Schmidt and Mark Thatcher (eds.) Resilient Liberalism in Europe’s Political Economy. Cambridge: Cambridge University Press, p.112-141 (with Vivien Schmidt). 2013: “Global Companies as Agenda-Setters in the World Trade Organization,“ in John Mikler (ed.) Handbook of Global Policy: Global Companies. Oxford: Wiley-Blackwell, 257-271. 2012: “EU Foreign Economic Policy: How Much Power for the Lobbyists? The Autonomy of EU Institutions,” in Andreas Dür and Hubert Zimmermann (eds.) Key Controversies in European Integration. London: Palgrave. 2012: “The Revival of Economic Patriotism,” in Glenn Morgan and Richard Whitley (eds. ), Capitalisms and Capitalism in the 21st Century. Oxford University Press, p. 70-90 (with Ben Clift). 2012: “The Defense of Economic Interests in the European Union: A Strategic Analysis of Hedge Fund Regulation,” in Renate Mayntz (ed.) Crisis and Control: Institutional Change in Financial Market Regulation. Frankfurt a.M.: Campus, p. 195-209. 2011: “Who Scripts European Trade Policies? Business-Government Relations in the EU-Canada Partnership Negotiations,” in Kurt Hübner (ed.) Europe, Canada and the Comprehensive Economic Partnership, London: Routledge, p.41-58. 2010: “Firm Interests in Uncertain Times: Business Lobbying in Multilateral Service Liberalization,” in Rawi Abdelal, Mark Blyth und Craig Parsons (eds.) Constructing the Political Economy, Cornell University Press, p. 137-154. 2009: “La politique de la concurrence,” in Renaud Dehousse (ed.) Politiques européennes, Paris: Presses de Sciences Po, p.173-188. 2009: “Who Captures Whom? Trade Policy Lobbying in the European Union,” in David Coen and Jeremy Richardson (eds. ), Lobbying in the European Union: Institutions, Actors and Issues, Oxford: Oxford University Press, p. 268-288. 2008: “The Demise of Statism? Associations and the Transformation of Interest Intermediation in France,” in Andrew Appelton, Sylvain Brouard, Amy Mazur (eds.) Beyond Stereotypes: The French Fifth Republic at Fifty. Palgrave, p. 226-244. 2008: “Les stratégies des pays émergents à l’Organisation mondiale du commerce,” in Christophe Jaffrelot (ed.) L'enjeu mondial : Les pays émergents. Paris: Presses de Sciences Po, « Annuel du CERI », p. 273-286. English version: “Strategies of the Emerging Countries in the World Trade Organization,” in Christophe Jaffrelot (ed.) Emerging States: The Wellspring of a New World Order, Paris: Presses de Sciences Po. 2008: “Les groupes d’intérêt: l’action collective en Europe,” in Céline Belot, Paul Magnette et Sabine Saurugger (eds. ), Science politique de l'Union européenne, Paris: Economica, p. 223-248 (with Sabine Saurugger). 2008: “Service Trade Liberalization and Corporate Lobbying in the US and the EU,” in William Genieys and Marc Smyrl (eds. ), Elites, Ideas and the Evolution of Public Policy, New York: Palgrave Macmilian, p. 54-66. 2007: “Regulation,” in Mark Bevir (ed. ), Encyclopedia of Governance, Vol. II, London: Sage Publications, p. 813-816. 2007: “L’européanisation et les acteurs non étatiques,” in Bruno Palier, Yves Surel, et al., L’Europe en action : analyses de l’européanisation, Paris : L’Harmattan, p. 145-191. 2006: “Lobbying und Interessenvertretung,” in Werner Weidenfeld und Wolfgang Wessels (eds. ), Jahrbuch der europäischen Integration, Baden-Baden: Nomos, p. 173-177. 2005: “France: Between Integration and National Sovereignty,” in Simon Bulmer and Christian Lequesne (eds. ), Member States and the European Union, Oxford: Oxford University Press, p. 97-118 (with Richard Balme). Romanian translation: (2009) “Franţa: între integrare și suveranitate naţională,” in Simon Bulmer and Christian Lequesne (eds. ), Statele membre ale Uniunii Europene, Bucarest: Editura Cartier, p. 136-161. 2004: “Régulation,” in Laurie Boussaguet, Sophie Jacquot and Pauline Ravinet (dir. ), Dictionnaire des politiques publiques, Paris : Presses de Sciences Po, p. 377-384. 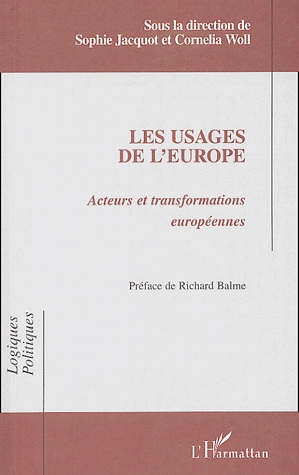 2004: “Usages et travail politiques : une sociologie compréhensive de l’intégration européenne,” 1-27, and « Conclusion », 293-296, in Les usages de l’Europe : acteurs et transformations européennes. Paris: L’Harmattan (with Sophie Jacquot). 2015: “Politics in the Interest of Capital: A Not-So-Organized Combat,” MaxPo Discussion Papers 15/2. 2013: “Moral Categories in the Financial Crisis,” MaxPo Discussion Papers Vol. 13, No. 1 (with Marion Fourcade, Philippe Steiner, and Wolfgang Streeck). 2012: “Saving the Banks: The Political Economy of Bailouts,” Open Forum Paper Series, No. 7, Center for European Studies, Harvard University (with Emiliano Grossman). 2011: “Beyond Ideological Battles: A Strategic Analysis of Hedge Fund Regulation in Europe,” Les Cahiers européens de Sciences Po, 02/2011. 2006: “Trade Policy Lobbying in the European Union: Who Captures Whom?” MPIfG Working Paper, 06/7. 2005: “The Difficult Organisation of Business Interests: MEDEF and the Political Representation of French Firms,” MPIfG Discussion Paper, 05/12. 2005: “Learning to Act on World Trade: Preference Formation of Large Firms in the Unites States and the European Union” MPIfG Discussion Paper, 05/01. 2003: “Transatlantic Relations as a Catalyst to European Integration: The Activism of the European Commission in the Case of International Aviation," AICGS Policy Paper, Washington D.C., 11 June. 2018: „On the Role of the Social Sciences: What Crisis Are We Facing?“ in Jenny Andersson and Olivier Godechot (eds.) Destabilizing Orders: Understanding the Consequences of Neoliberalism. Proceedings of the MaxPo Fifth-Anniversary Conference, MaxPo Discussion Paper No. 18/1, p.105-7. 2014: “Myths and Realities of the Banking Lobby,” World Politics Review, July 1, p. 1-5. 2014: „Curtailing Capture through European Banking Union: A Note of Caution“ SAFE Policy Center, Policy Letter No. 27. 2013: « Lobbies et groupes d’intérêt » Question internationales, no. 63 (septembre), Paris : La Documentation française, p. 53-55. 2013: „The Power of Banks“ SPERI Comment, 25 July. 2011: “Wer rettet die Banken? Staatliche Nothilfe im internationalen Vergleich” Jahrbuch des Max-Planck-Instituts für Gesellschaftsforschung, Köln: MPIfG, p.19-26. 2007: « L’Initiative européenne pour la transparence: Quelle réglementation pour le lobbying à Bruxelles? » Kiosque du CERI. 2006: “Herrschaft der Lobbyisten in der Europäischen Union?” Aus Politik und Zeitgeschichte (APuZ), No. 15-16, p. 33-38. 2005: “Lobbying in Brüssel: amerikanische Verhältnisse?” Jahrbuch des Max-Planck-Instituts für Gesellschaftsforschung, Köln: MPIfG, p. 57-62. 2003: “The United States and the Franco-German couple” Commentary Series, American Institute for Contemporary German, Washington D.C..
Reprinted in French: “Les Anglo-Saxons et le « cœur » de la vieille Europe,” La Lettre de Léosthène, no. 38, 19 juin 2004. 2014: “Giorgio Riello - Cotton : The Fabric that Made the Modern World,” RIPE Reads, Review of International Political Economy, Vol. 21, No. 5, p.1133-1135. 2010 : « L’Europe : une machine à libéraliser ? », Lecture croisée de Nicolas Jabko, L’Europe par le marché, et de François Denord et Antoine Schwartz, L’Europe sociale n’aura pas lieu, Politique européenne, no. 31, p. 215-220. 2008 : Lecture critique d’Aurélie Campana, Emmanuel Henry et Jay Rowell (dir. ), La construction des problèmes publics en Europe: émergence, formulation et mise en instrument, Politique européenne, no. 24, p. 151-153. 2008: Lecture critique de Pierre Berthaud et Gérard Kébabdjian (dir.) La question politique en économie internationale, Critique internationale, no. 38, janvier-mars, p. 201-205. 2005: Lecture critique de Pierre Lascoumes et Patrick Le Galès (dir.) Gouverner par les instruments, Pôle sud, no. 23, p. 200-202. 2004: “Représentation, contrôle et légitimité démocratique dans l’Europe des vingt-cinq,” Revue française de sciences politiques, vol. 54, no. 6, p. 1030-33. 2004: "The Politics of Trade Preferences: Business Lobbying on Service Trade in the United States and the European Union," Ph.D. Dissertation, Institut d'Etudes Politiques de Paris and Universität zu Köln. Awarded the Seymour Martin Lipset Prize of the Society for Comparative Research for the best comparative dissertation in 2005. 2001: “Le Medef et l'Europe : La mobilisation d'un acteur national au niveau européen,” Mémoire de DEA, Institut d’Etudes Politiques de Paris. 2000: “Deliberative Europe: The Importance of Cognitive Framing for Coordination and Integration across Policy-Areas," M.A. thesis paper, Committee on International Relations, University of Chicago. 1999: “Political Participation in the European Union,” B.A. thesis paper, Department of Political Science, University of Chicago. Awarded the Harold Goettler Prize of the University of Chicago for outstanding writing on political institutions.